Finding your voice includes exploring both nature and nurture... also known as hereditary and environmental factors. Both physically and psychologically, you can resolve to explore your vocal territory. Most people have more range and resonance than they know. And, most people have deep waters of life-experiences, spiritual connection and world view they have not consciously explored and possibly even reformed. Who are you and what do you know that could make the world a better place? It's time to choose or create songs that deliver the messages you want to speak or sing, with your own full voice. Almost all vocal damage can be reversed by taking enough time for voice rest and then diagnosing and addressing the cause of the damage or strain. Quite often, bad vocal techniques need to be re-training to get excessive air pressure and tightness off the vocal apparatus. Sometimes it's the speaking voice that is straining or damaging the singing voice. Sometimes it's acid reflux requiring dietary changes and possibly medication. Sometimes it's psychological issues creating a whole body tension and guarding behavior that sabotages breath control. And sometimes it's some other physical disease or condition. Change your diet or other habits, get yourself healthy or to the doc or the coach. Whatever it is... it's time to figure it out and then do something about it! Everyone, as long as they have breath, including yours truly, can learn something new. If you know you have chronic vocal issues or limitations, there truly are keys to help you to break through those seemingly solid walls. If you stopped using your voice for some reason, it's time to get it back, and then some. 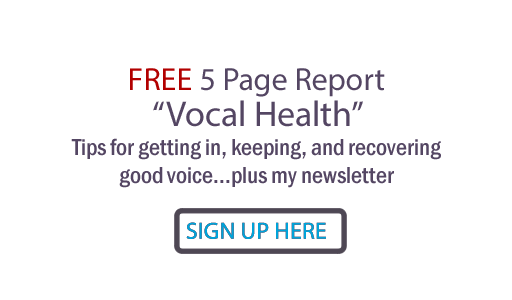 If you are currently singing or speaking consistently, it's time to get curious about just how far you can go to gain more vocal ability and less vocal fatigue. OK this is your vocal coach mama speaking... no more gambling with those tiny 1/2 to 3/4 inch vocal cords! No more yelling, screaming, pushing or straining; no more not drinking enough water! Resolve to make it a solid goal to warm your voice up before performance! (Of course it should go without saying that you actually know HOW to do those exercises. If you don't, just sing a light melody instead of doing vocal tighten-ups!) Also, do all the other things that help keep your voice healthy. The awesome bonus is that the same things will make your whole body and spirit healthier, too! The last goal resolution I'd like to suggest is that you actually use your voice. Haven't sung in a while? Maybe start in the shower, the kitchen while you're cooking, serenade your baby or your puppy dog. Go join a choir, participate in karaoke events. Don't let fear stop you. Were you really good back when? Have you been off tour for too long? 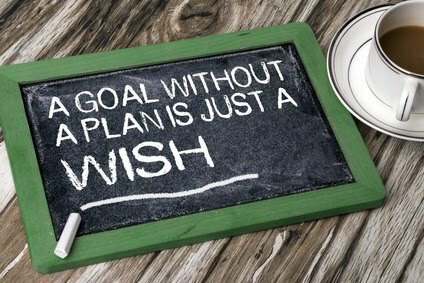 Resolve to work it back - and have confidence that you can indeed meet your goal. Make another goal to look for places to sing, and sing everywhere you can! What about your speaking voice? What do you need to say that you have stuffed for too long? Have you ever thought about having or re-starting a speaking or voice-over career? The world needs your wisdom, your view, your understanding and your vocal connection. Use it or lose it. It's time. Time? You are in charge of your time allocation. Accept responsibility to do so. Finances? You are reading this blog at no cost, aren't you? There are economical ways to train your voice, including CD courses such as I have available on my site. You don't have to take 10 vocal lessons to get better... even one should move you to your goals. Fear? Don't let being afraid, timid or stuck be your payoff for not putting forth the effort. Trade fear for persistence, patience, and don't expect others to do it for you. This is your life! Lack of knowledge? Whether it's career success, places to use your voice, or finding out who is trust-able and can help you, just resolve not to be lazy... because the information is out there! Choose to reach out, brainstorm with others, use internet search engines, study music business books, enroll in workshops and training programs. I'd love to hear from you: What goal(s) will you choose to reach for next year? If you need help, let me know. Thank you for being part of my village; Happy New Year from All Things Vocal! I have been diagnosed with vocal inflamation and very small ulcers on my vocal cords following a bad head virus and cough and laryngitis. I was told to treat with voice rest, Zantac. This is the 4th time in 23 years that I got this. The last 3 times I went to a speech therapist to teach me voice techniques to speak in my head so the strain is off my vocal cords. It usually takes a few weeks to get my voice back without hurting. I am a psychotherapist, so I need to be able to speak. Do you feel that t am abusing my voice causing this problem or just do to viruses every 5 to 10 years. It is very debilitating and isolating. I would like to avoid ever happening again.